Central Sleep Apnea During the Day - Avery Biomedical Devices, Inc. Researchers have found that Congenital Central Hypoventilation Syndrome is a congenital condition caused by a mutation in the PHOX2B gene. This gene’s job is to encourage the growth of nerve cells and ensure that the nerves are assigned a specific function. In the autonomic nervous system, the nerves affected by this mutation include those responsible for regulating breathing. According to the National Institutes of Health, this disorder is very rare, with only 1,000 patients identified worldwide. It is believed that some children who die from Sudden Infant Death Syndrome (SIDS) may have had undiagnosed CCHS. Children can either develop this from a parent, which has become more common as CCHS patients are more frequently living into adulthood, or have a mutated gene. The latter reason accounts for 90% of cases. CCHS is characterized by breathing difficulties. Those who have the condition hypoventilate, or take very shallow breaths, which is worsened during sleep. Though most people view the condition as more severe at night, patients may also have breathing difficulties while awake. The result of these shallow breaths is that there is an increase in carbon dioxide in the blood and a decrease in critically needed oxygen. Normally, the autonomic nervous system regulates consistent involuntary breathing. In patients with CCHS, this involuntary function is not working. The brain “forgets” to tell the patient to breathe. For these patients, an Avery diaphragm pacemaker may be a lifesaving device. With CSA, like CCHS, the brain lacks the ability to send signals to the diaphragm to breathe. Unlike CCHS, which is acquired, CSA develops during a person’s lifetime. It is typically caused by another health condition that impacts the brainstem. Because the brainstem is in control of sending signals to breathe, if there is any damage to this area, it is likely that breathing will be impaired. While the patient is sleeping, his or her breathing stops cycling normally. The periods where the brain does not signal the body to breathe, called apneas, last for one to two minutes. After the periods of not breathing, the body then tries to overcompensate for the lack of oxygen by breathing faster for a period of time, known as a hyper-apnea. Depending on how long the apneas are, the damage CSA can cause may vary from person to person. When breathing is stopped for extended periods of time, brain damage may occur. Other risks caused by lack of oxygen to the brain include seizures, strokes or heart attacks. CSA patients have an excess of carbon dioxide in the blood, presenting lingering side effects like difficulty breathing throughout the day. A malfunctioning brainstem is the root of the cause, in addition to the lower carbon dioxide levels. Though difficulty breathing during the day is possible, the most severe symptoms of Central Sleep Apnea happen during the night, as the autonomic nervous system operates differently during wakefulness than during sleep. Patients with Central Sleep Apnea may experience daytime sleepiness and headaches as a result of their interrupted sleep cycles. They may also have difficulty concentrating and feel weak throughout the day. Being overly tired during the day can be how patients discover they are periodically not breathing during the night. 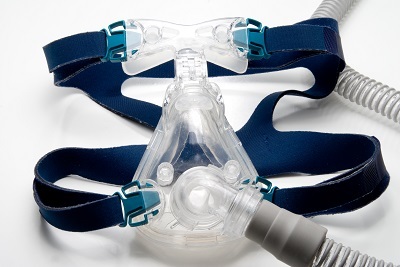 Because Central Sleep Apnea is often the result of another medical condition, the primary condition is typically treated first, in the hope that it will correct the breathing difficulties. When this is not possible, an Avery Breathing pacemaker may be an alternative to other forms of ventilation. The Avery Biomedical Diaphragm Pacing System is a helpful option for patients with Central Sleep Apnea. The diaphragm pacing system is implanted surgically and stimulates the phrenic nerve which signals the diaphragm to contract at a normal rate. Because patients with Central Sleep Apnea never know when the apneas will occur, the pacemaker is consistently helpful, removing the risk of a lack of oxygen. For more information about how the pacemaker can help you breathe normally and to find surgeons near you, call us at 631-864-1600 or fill out our online request form by clicking on the button below.